Although some writers who love to pigeonhole have put vocalist Marlene VerPlanck into a box labeled “cabaret,” her jazz roots are very evident. In fact, in her very first recording, the 1955 Savoy LP titled With Every Breath I Take, she worked most comfortably with Hank Jones, Joe Wilder, Wendell Marshall and Kenny Clarke, four superior jazz artists. You can judge a singer by the accompanists she keeps and, as you browse through her more recent recordings, you will recognize such jazz stalwarts as Hank Jones, Bucky Pizzarelli, Billy Taylor and her husband, arranger and composer Billy VerPlanck. The New Jersey-based Marlene VerPlanck made a recent, rare and long overdue swing through the southern California area. I caught her at two of her four venues: the Crowne Plaza Hotel near LAX and Sangria on the Hermosa Beach pier. At both, she worked with pianist Ed Vodicka, bassist Kirk Smith and drummer Enzo Todesco. Those of you who know Marlene know not to expect nostalgic renderings of over-familiar songs. She comes up with fresh approaches to the most well-known, as well as digging deeper into the songbooks of the greats than do most vocalists. For example, her selections at both venues ran the gamut from beloved standards such as Irving Berlin’s “Be Careful, It’s My Heart” and Rodgers and Hart’s “Falling in Love With Love” to “They Say It’s Spring,” a well-composed Bob Haymes song that is not a standard but should be. In typical VerPlanck fashion, she included a few unheralded songs such as a flirty tune titled “Don’t Fall in Love Without Me.” As far as I know, Marlene is the only singer, other than Tony Bennett to sing Charles de Forest’s exquisite story-song, “Where Do You Go From Love.” But, whether it was a well-known standard or a rarely heard gem, Vodicka and band handled Billy VerPlanck’s charts with ease and were in lockstep with Marlene throughout the evening, always enhancing, never intruding on her performance. Three sparkling ingredients were evident at both of her venues. One of these was the singer, the poised, direct and charming Marlene, with voice strong and clear and filled with both power and nuance. Marlene showed us that it is possible to add jazz influences to cabaret singing without violating either genre. (Or, perhaps more correctly, she added cabaret influences to jazz singing.) The second ingredient was the selection of songs and the third, her absolutely Rolls Royce trio, who could give lessons in how to accompany a singer. 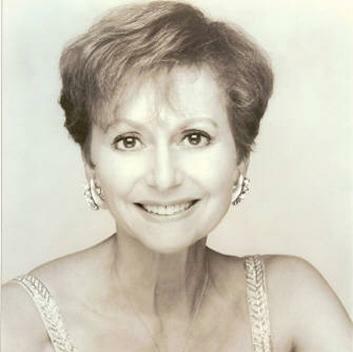 Marlene VerPlanck was born to sing and her music comes straight from the heart – without any detours. She is best known for Manhattan, supper clubs, studio work and her Audiophile recordings. But, let us all hope that she returns more often to our coast. By the way, Marlene has at least 20 CDs available. If none are part of your jazz library, then there is a significant gap in your knowledge and appreciation of vocalists. For details, check her Discography here. Previous Post Live World Music: Strunz & Farah at Vibrato Grill Jazz…etc.